It was at a San Diego flea Market about 30 years ago, that Janek Boniecki found a humble yellow dinner plate that changed his fate. In 1885, J.A. 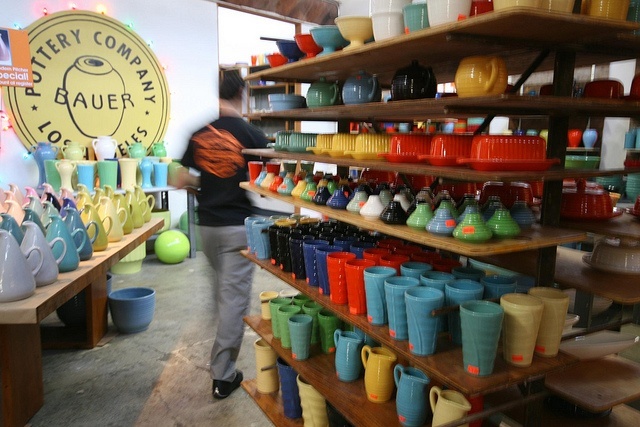 Bauer bought out Paducah Pottery, based in Paducah, Kentucky, whose main production at the time was hand-thrown crocks and jugs. 25 years later, he moved production to Los Angeles, California and expanded the line to include flower pots and planters. 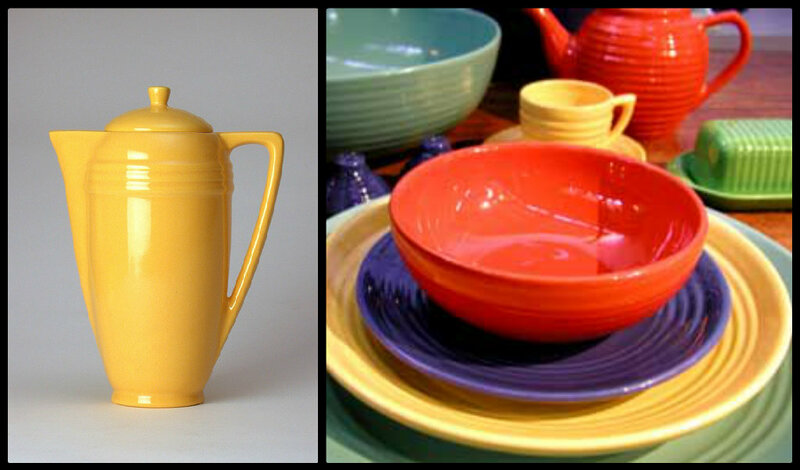 In 1930 the Bauer Company introduced a line called California Colored Pottery with brilliant-hued dishes intended to mix and match. 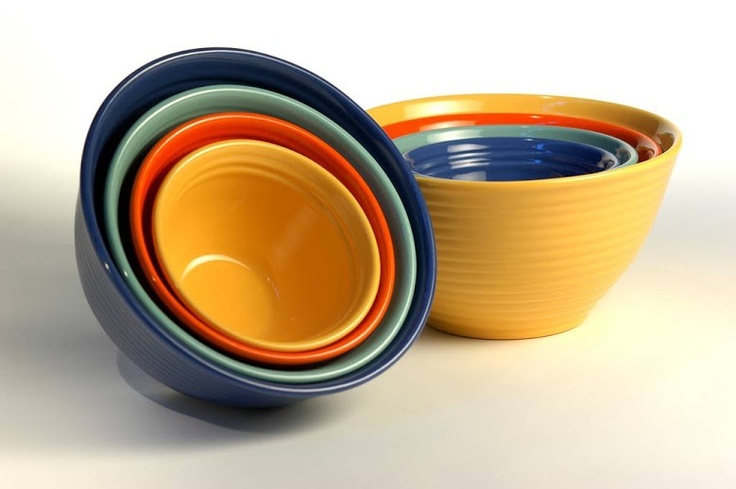 There is a story that Bauer’s first dinnerware was prompted by a young lady who bought a stack of brightly colored flowerpot saucers to use as plates for a patio party. True or not, it is typical of the flair and informality of the California style. The line was an immediate and continued success. 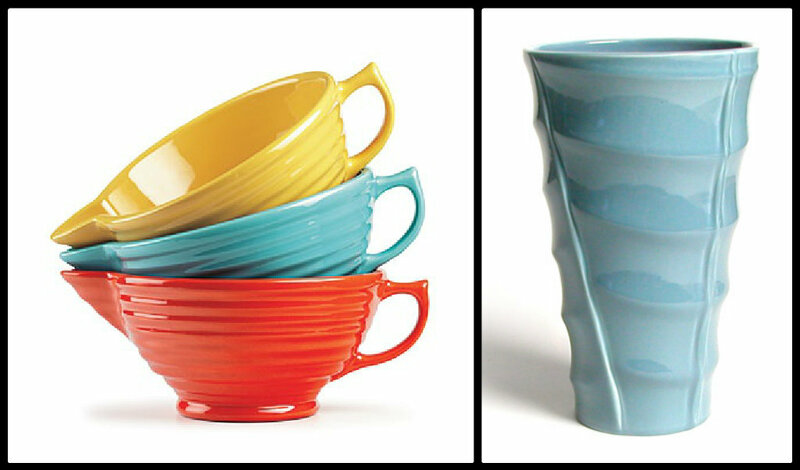 In 1933 they added a band of rings to these dishes, creating Ringware. 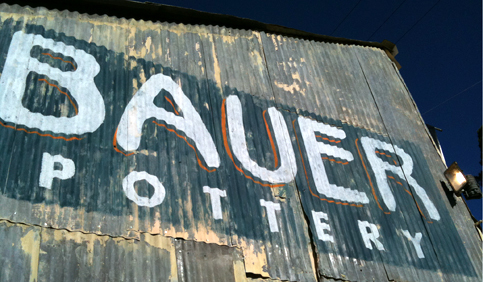 Sadly, the Bauer Pottery Company closed it’s doors in 1962, rather than settle a labor dispute. Janek couldn’t stop thinking about his passion for the defunct line. He’d developed a love of Bauer and had collected several more pieces beyond that first yellow plate. “I decided one day to go looking for the trademark,” he said. But he was starting completely from scratch and couldn’t locate any of the original Bauer dies or molds used to turn out the pieces. Using his own collection of classic Ringware pieces and a few others he bought as models, Boniecki hired artisans to make dies that could be used to produce copies. In 1998, working with a variety of ceramics manufacturers, he turned out the first pieces of his new Bauer Company, complete with a copy of the original imprint on the underside. 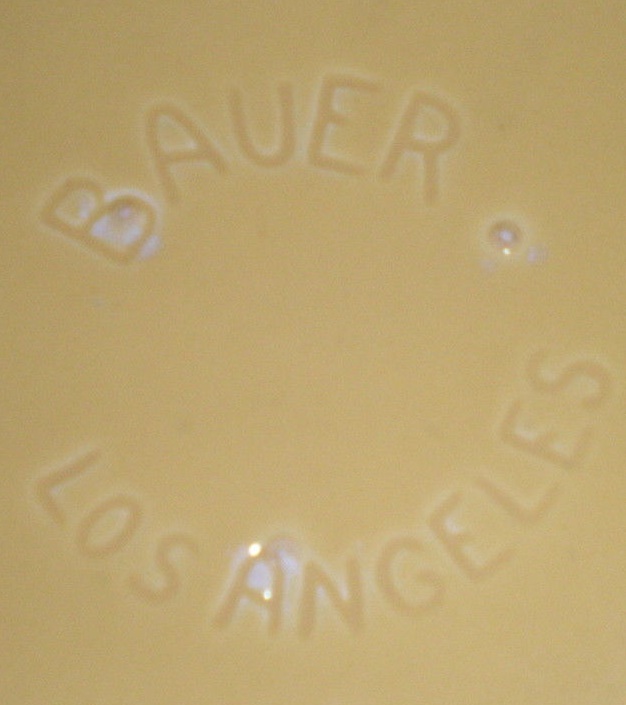 Collectors refer to the new pieces as Bauer 2000. After dealing with several local ceramics makers, Boniecki became a steady client of a factory housed in a former fruit-packing plant in the small city of Highland. Built in 1923, the factory has 30-foot-high ceilings with skylights, well-worn wood floors, and even a freight elevator driven by an old-fashioned hydraulic system….but most importantly, there were 8 on-site kilns. When the owner of the plant announced a few years ago that he was going to retire, Boniecki bought the 40,000 square foot operation for $1 million. Our dog Harley has a turquoise Bauer dog bowl, and I have about a dozen human sized mixing bowls, a couple of vases, and several assorted other items. 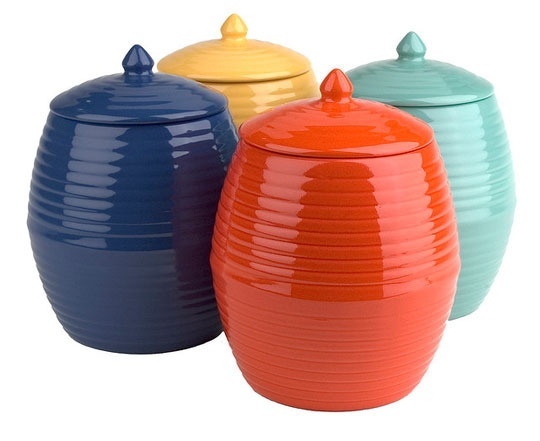 Bauer pottery has a cheerful personality that’s unmatched by anything else on the market. Just ask Janek, I know he’d understand. What a hero. You gotta love folks who follow their passion. And who doesn’t love cheery colors (and no lead paint). 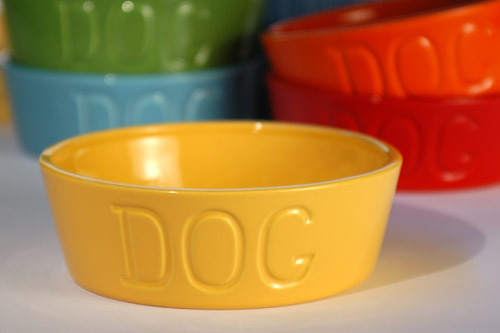 I’ve been told that we can’t eat off the vintage pieces because of the lead….but we still do…I just have to mark the older pieces so they don’t go in the microwave by mistake….. There is a Fiesta outlet in Canton. The store has great prices on seconds and first quality. Ohhhhhhhhh Kay, we’ve been there. Yes mam, we’ve been there many times. Thank you for this very wonderful eye candy and informative piece. Loved reading every word. I will be following y’all because you touch on many of my heart delights. 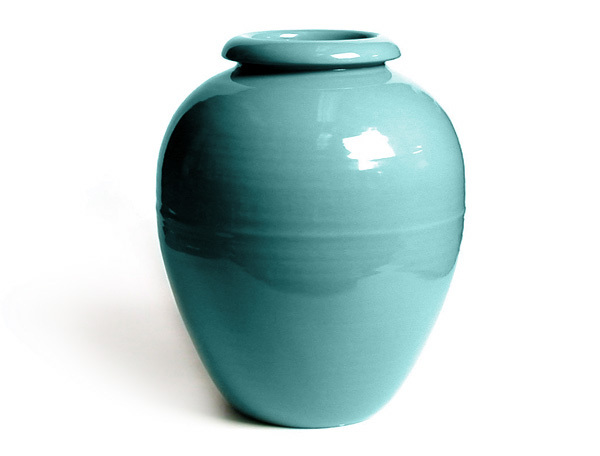 I have collected vintage pottery for years, but usually in the deep pink tones (think Hall restaurant-ware) but have some turquoise too. I’ll have to check later. Currently they are on the sun porch which is about 15 degrees (Michigan). I “found” you from Eclectically Vintage–your home tour. Love the way your blog is laid out. So beautiful. I may need to “upgrade” mine lol. Blessings on loving your home. So glad to see the old traditions reborn. Congrats on your endeavor & God bless. If I still lived their I would buy this stuff like crazy. 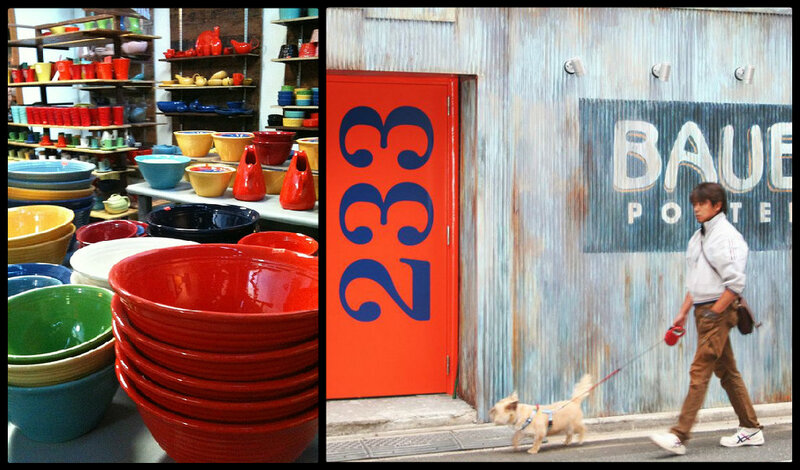 But alas my sis-in-law owns a Fiesta store & I get my colorful pottery fix there. But…. I have some good old Bauer pottery that was my grams. So have a question for you. One piece is a large 13 in hand painted plate. It is not glazed over because some of the pain is damaged. Cannot find anything like it on the internet. Any ideas on how old it is? No clue Tami. I do know that they did quite a bit of hand-painting and custom work. Could be that you have a pretty special piece.